The Volunteer Income Tax Assistance (VITA) program offers free tax help to low-to-moderate income families, persons with disabilities, the elderly and limited English speaking taxpayers who need assistance in preparing their own tax returns. IRS-certified volunteers provide free basic income tax return preparation with electronic filing to qualified individuals. 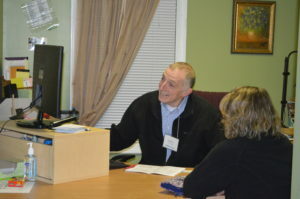 The VITA program is funded by the Berkshire United Way and administered by Central Berkshire Habitat for Humanity. Please click here to review the list to see what you will need to provide or to make sure your not out of scope for the VITA program. Also, if you can print and fill out the Intake form that will be great if you can not, we will have copies when you come for your appointments. If you have any questions, please call us at 413-442-0002, 413-442-3181, or come in to our office at 314 Columbus Avenue, Pittsfield, MA 01201. We will be happy to clarify anything that may not be clear. Central Berkshire Habitat for Humanity is offering a free Financial Tools course to give you the tools you will need to manage your money worry free. You will learn about Budgeting, Banking, Savings Funds, Credit Reports, Identity Theft, and Predatory Loans. 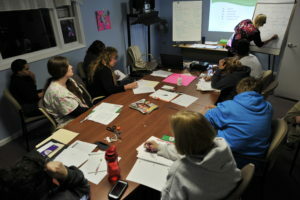 To find out when our next class starts, please contact Beth Frederick at (413) 442-3181.